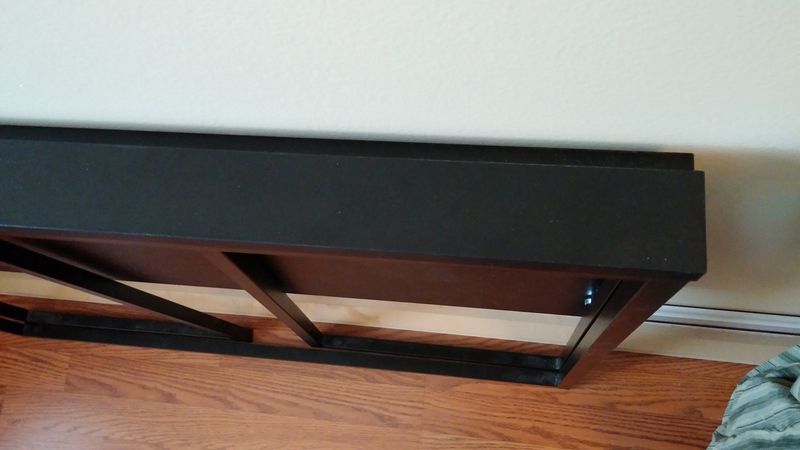 I’m selling a folding desk for $20. 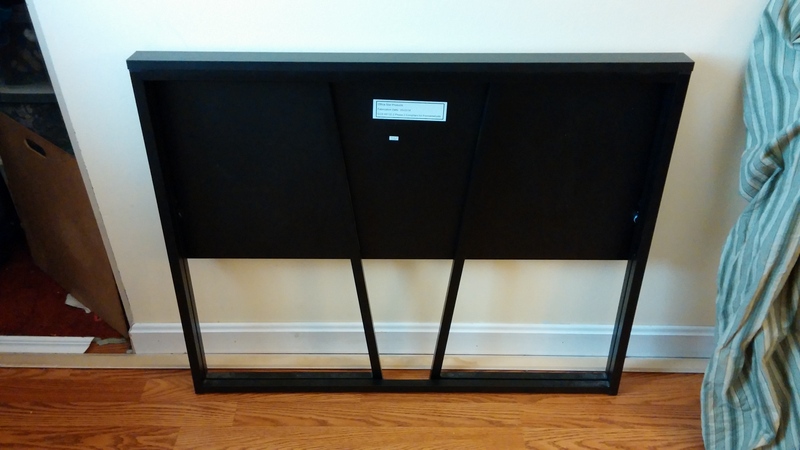 It’s 36″ L x 18″ W unfolded (3″ W folded) x 29″ H and black. The top is wood composite and the frame is metal. It doesn’t have any drawers, but it folds and unfolds pretty easily. I bought it new a year or two ago and used it as my main desk until recently. It has plenty of life left in it, but the top is kind of flimsy. I wouldn’t expect it to break unless you elbow-drop it, but you might find the way it flexes when you lean on it annoying (I sure do). 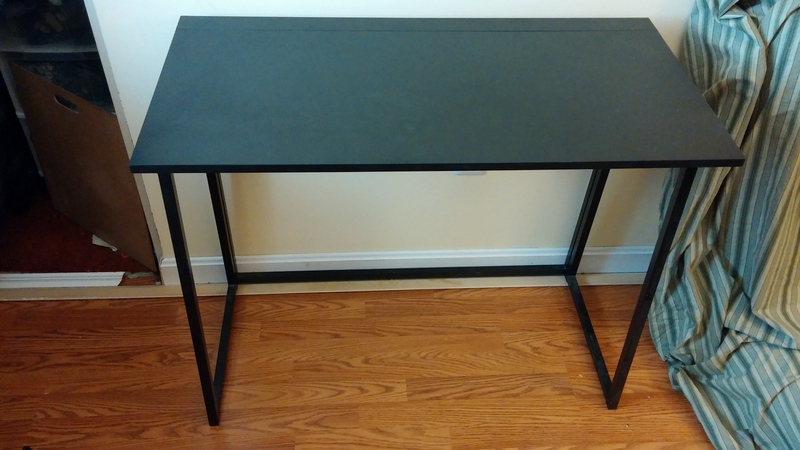 Works great as a computer desk, eating place, crafting station (for crafts where you don’t press down on the table a bunch), cat perch, temporary whatever table, etc. Works less well for writing or drawing because of the flex (in my opinion — yours may differ). If you want it, say so in a comment, message, or email to colin@colintedford.com.